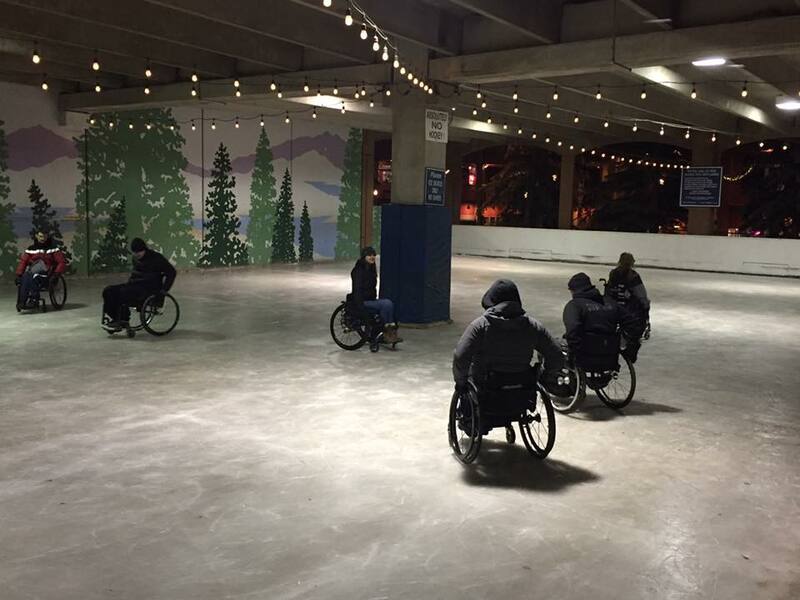 We had a group of 15 – 10 wheelchair users (including one of the group leaders) and 4 ‘A-Bs’ (able-bodies) which included the other group leader, a nurse and a PA (me!) and 2 corporate buddies from the Bank of Montreal. 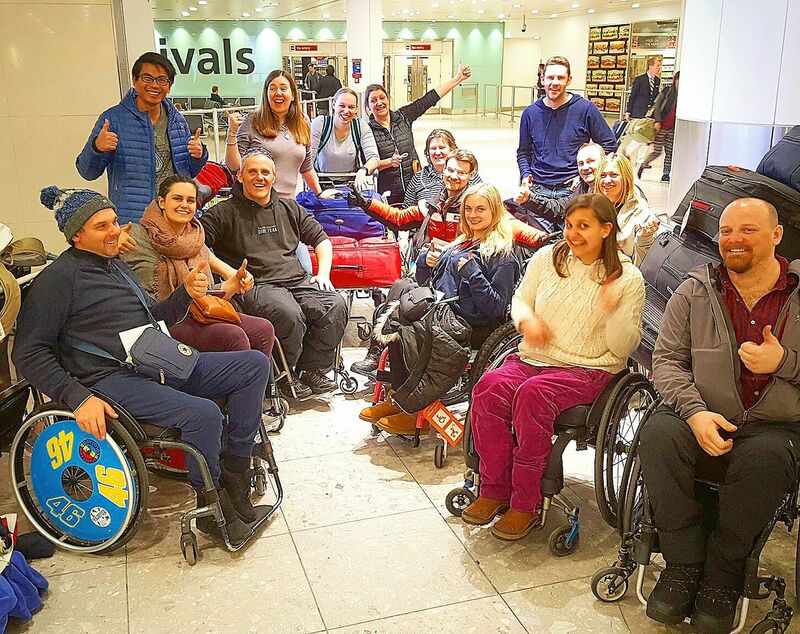 Back Up courses are available to anyone with a spinal injury which means that you’re not likely to come across the same people every time – which means new friends! 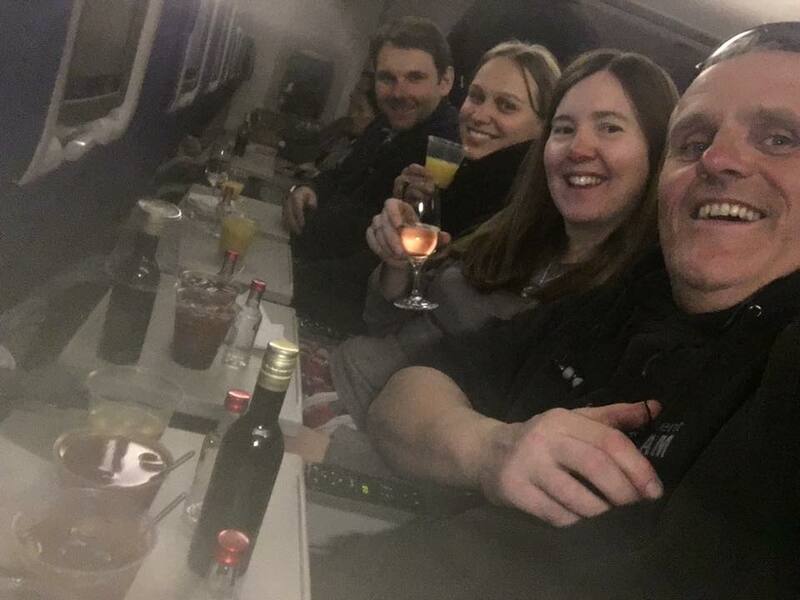 We all managed to get to Heathrow on time (except for the group leader Luke who wanted to make a late entrance) and onto the plane without too much hassle. 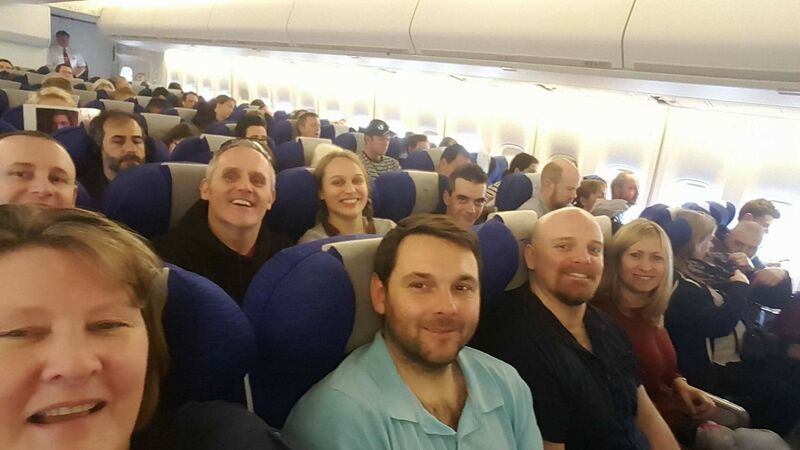 It’s around a 9 hour flight from London Heathrow to Denver and our flight was full. 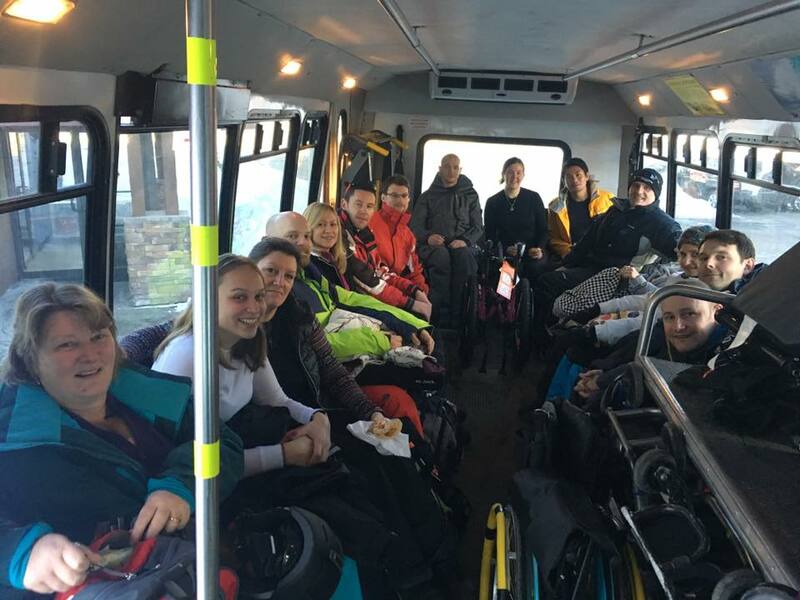 Although the course was predominately about learning how to ski independently, Back Up uses any situation to teach new skills and to adapt to the situation and a long haul flight definitely can do this. Not to go into too much detail but if you have a catheter and a bottle and a helpful friend to empty the bottle feel free to go to town on those free bottles of alcohol! After the flight we collected all of our baggage and got straight onto a bus to take us to Winter Park. We had a huge 50 seater bus for the 15 of us so it was a great opportunity for us (read: me) to have a nap. 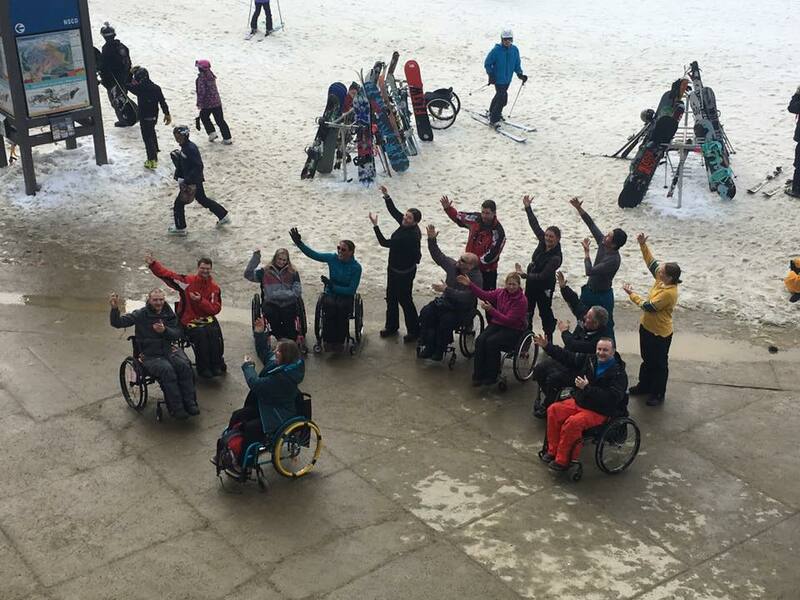 After an ok night of sleep everybody was pumped to get up to the National Sports Centre for the Disabled (NSCD) and get kitted out. 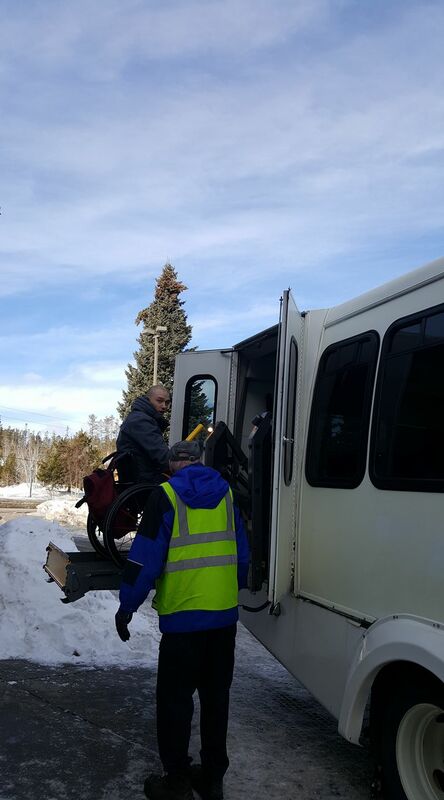 Winter Park has its own ‘wheelchair’ bus which is free for users and includes a lift. The first day consisted of the participants getting measured and fitted into a mono-ski. 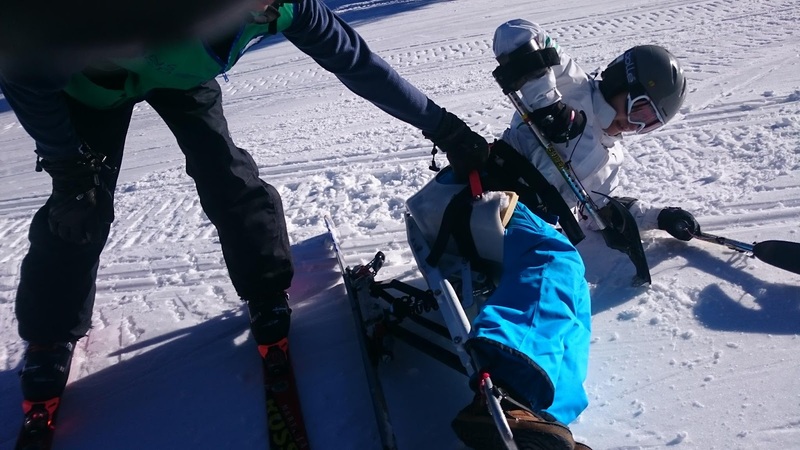 This was an all day process as the staff and volunteers at NSCD make sure the skier is secure and comfortable in the bucket seat, which may require multiple adjustments. 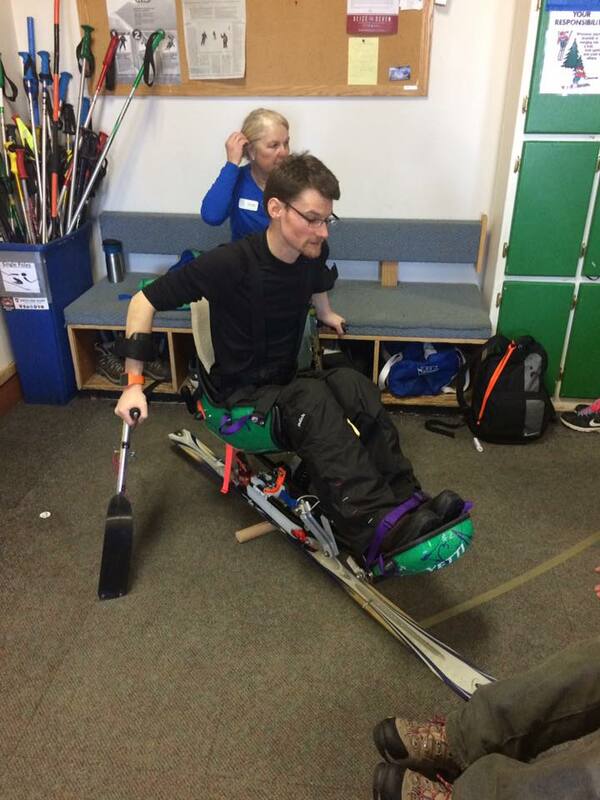 Fitting was an all day affair, so I asked the group nurse Wanda – self confessed ski (semi) expert – to take me on the steepest slope (according to everybody else this did not count as a ‘slope’ and was more of an incline) and refresh me on the basics. Before this trip I had exactly 3 days ski experience which turned out not so good. The lovely Caro from NSCD also took me on my first ever chair lift ride and talked me down a green slope. Monday was our first proper ski day and when everybody was all kitted up we hit the slopes of Sorenson Park. Well I say slope, everybody else says slight incline. Throughout the week there were many, many falls, but luckily no injuries. 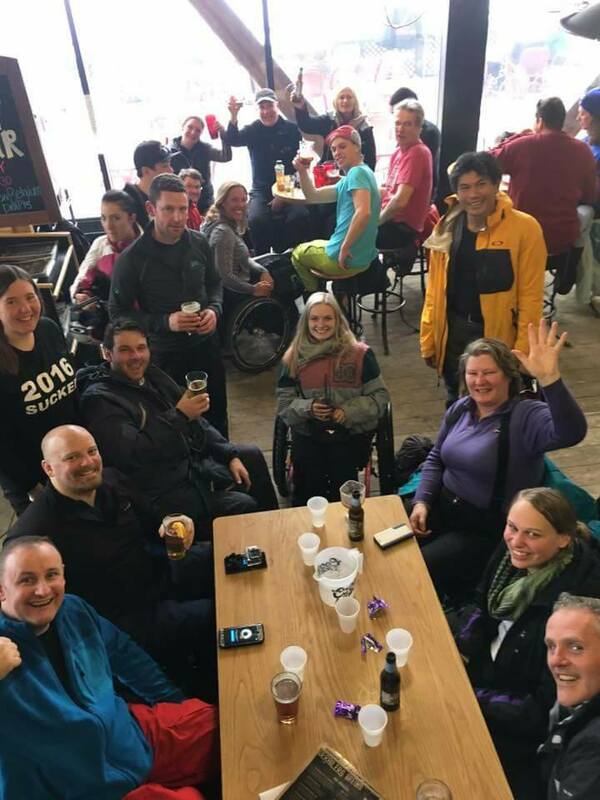 After a hard day of skiing there’s nothing like a pint (or three) with new friends. 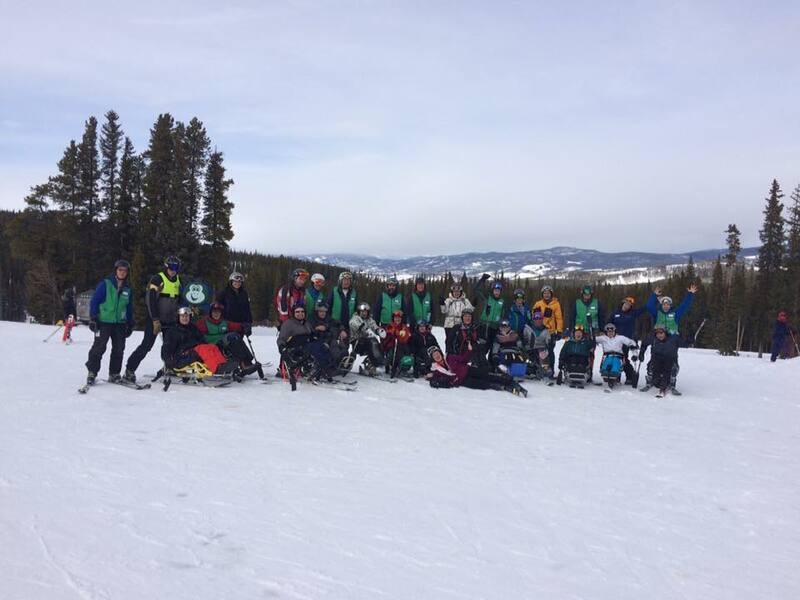 Although skiing is the main attraction of Winter Park there are many other options that were available including dog sledding (unfortunately the company we had a look didn’t bother to reply to our enquiry), snowmobiling – which is accessible – shopping (although there is about 5 different taxes on everything) and an ice rink! Skiing all day every day for a week takes a lot out of you so we stretched it out with a short lesson of tai chai. 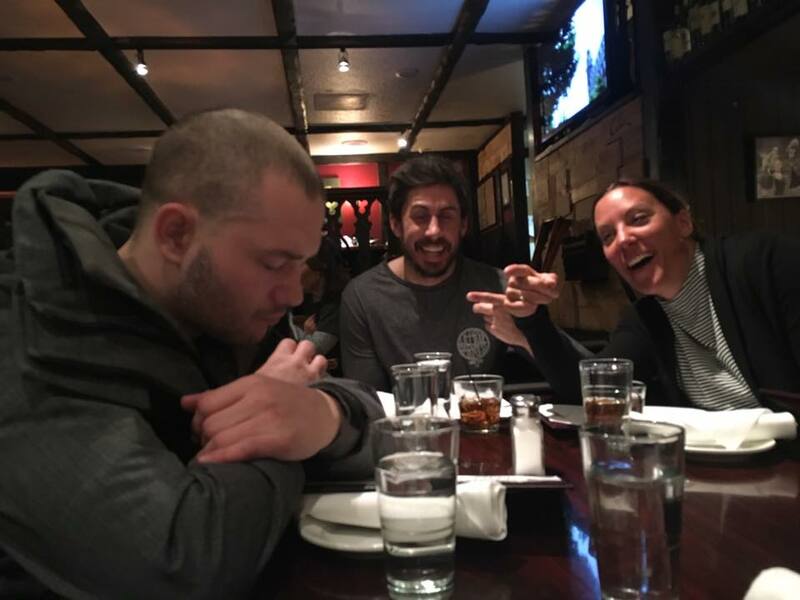 But the extra stretching and relaxation exercises did not help keep everyone awake, with Mike deciding the dinner table was a good place for a nap. The group were all at different levels skill wise by the end of the week but everybody got up the mountain and were very happy with the personal progress that was made. It was a bit depressing having to come back to reality again but *silver lining* our British Airways flight was only half full so I was able to make camp in 4 spare seats and pretty much slept through the entire flight.